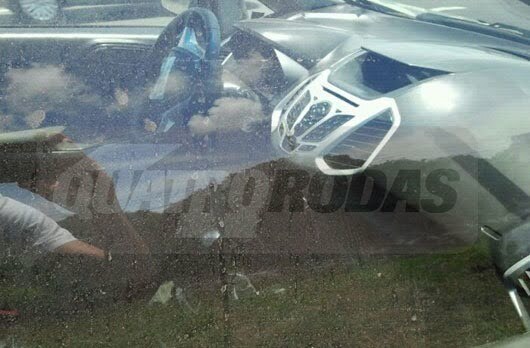 Ford EcoSport Compact SUV which is due for its launch in India in 2012 has been spotted testing in Brazil. The EcoSport will be a global vehicle and will not only be launched in one or two, but many car markets globally. Ford is working on one ford strategy globally and launching cars which look and feel same across various countries. Not only does it save development investments, but also it gives a better quality product meeting global standards and a stronger recognition to Ford global products as more and more people across countries recognize these cars. Ford EcoSport 2012 has been globally unveiled at the Auto Expo 2012 in India which was a “close-to-production” version and not interior or engine specifications were specified, however, Ford did showcase its Ford EcoBoost 1.0 Litre 3 Cylinder turbocharged engine which will be one of the engine options powering the EcoSport globally. In this article, we share a video of a full convoy of Ford EcoSport in camouflaged body being tested on Brazilian roads before launch. 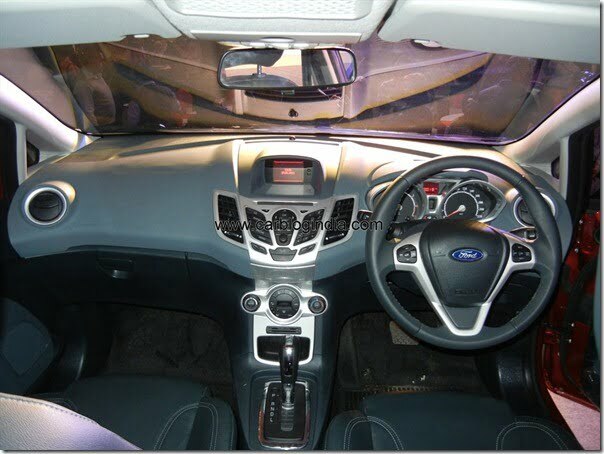 Also we will share initial pictures of the Interiors of EcoSport which has been shared on the Internet. On closely looking at the central console design, it seems largely inspired by the global Ford Fiesta. The side AC vents are slightly different. The steering wheel also has great resemblance to the global ford Fiesta. This is a good step to use the similar design on the inside to give a kind of familiarity to the new car. More details will emerge soon when the official pictures are revealed. We hope that Ford EcoSport Production Version will break covers in India soon. We will keep you updates on the new developments, do stay tuned to us by signing up our free email newsletter and like our official Facebook Page.